Case #2165 – Chin Enhancement Patient complaining of neck flaccidity and poorly defined jaw line careful examination revealed a short shin. 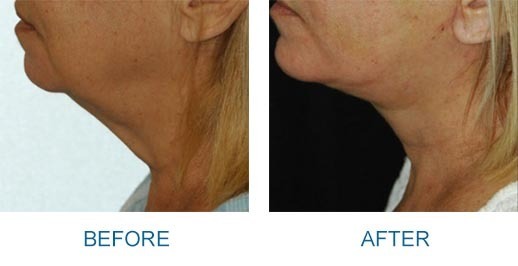 Treatment consisted of chin augmentation with a face and neck lift. A strong chin has always been considered a sign of physical beauty, and a person with a receding chin is sometimes described as having a “weak” chin. 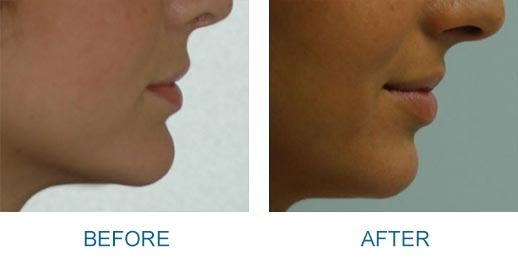 Chin augmentation, or mentoplasty, is a surgical procedure that has helped people improve their appearance. Chin augmentation can alter the structure of the face, changing the appearance for better by balancing the facial features. Chin implants help build a stronger profile and create a more beautiful appearance. In some cases, a chin augmentation is done along with liposuction or other cosmetic facial procedures such as rhinoplasty (nose surgery) and face lifts (rhytidectomy). Chin prior to surgery, a complete medical history is taken in order to evaluate the general health of the patient to make sure they are a good candidate for this surgery, and to minimize the risks of complications. A complete evaluation of the face is also conducted. The plastic surgeon will then go over the realistic goals that they expect from the outcome of the surgery, explain the procedure, and describe the type of anesthesia to be used. Before and after photographs will also be taken to document the amount of improvement. Pre-operative instructions will be discussed with you for your safety. This includes eliminating any drugs containing aspirin, to minimize the possibility of excess bleeding. Antibiotics may also be prescribed for a few days leading up to surgery to prevent infection. The areas that the surgeon will be working on will also be carefully marked. Chin augmentation will be done in our surgical center. Medication to relax the patient may be administered prior to surgery. 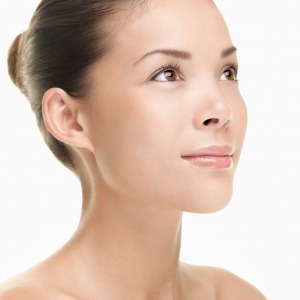 There are two basic procedures used in chin augmentation surgery. The first surgery involves moving the chin bone forward. The second option is the use of a plastic chin implant. To move the chin bone forward, an incision is made inside the mouth. The surgeon then uses special instruments to cut through the chin bone. The lower part of the bone is moved forward and kept in place by wires. Sutures are then used to close the incision and bandages are applied to the outside area. The second procedure, a chin implant, may also be used to create a more prominent jaw. With this technique, an incision is made either externally-under the chin, or inside the mouth. A plastic prosthesis, which is sized to fit the patient perfectly, is placed in a pocket above the chin bone beneath the muscles. Sutures are then used to close up the incision, and pressure bandages are applied. Depending on if other procedures are being done at the same time, the procedure may take from two and a half to three hours. Case #2167 – Chin Enhancement Patient with complaint of enlarged nose. Examination revealed a short or ‘weak’ chin. 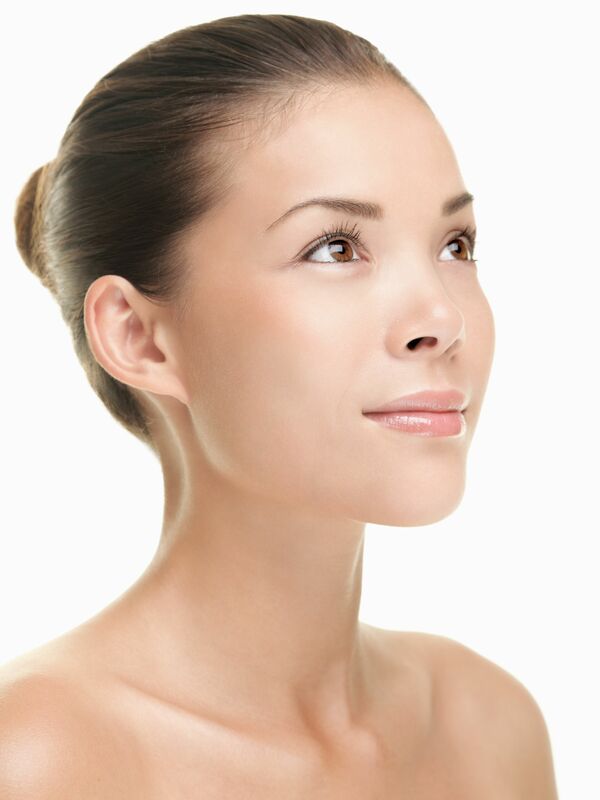 Treatment consisted of nasal reduction with scar-less chin augmentation. Individual results may vary. Pain after the surgery is minimal to moderate and may be controlled with oral medication. Antibiotics may also be prescribed to prevent infection. Bandages are typically removed within a week. Patients are up and going the day of their surgery: however, strenuous activities must be avoided for some time.